Of course if you’ve been following Lu for any length of time you’re used to her pentiant for starkly honest, take-no-prisoners songs. Much like the cover of “Down Where the Spirit Meets the Bone’ each release is like a slice from her heart as it takes it’s own unique journey. 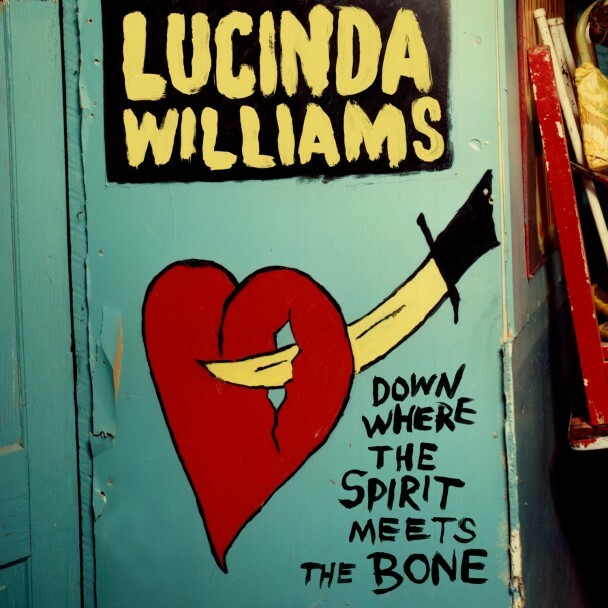 “Down Where the Spirit Meets the Bone’ stretches across two bruised and battered discs/albums, delving deeply, and with clear-eyed gaze, into the human psyche, A place that few songwriters are brave enough, or wise enough, to travel. Little on to document and share. But this is where the good stuff is. ‘Cold Day in Hell’ is a lovely cut from the POV of a scorned lovers’ lament of lessons learned that stops just short of the damage of bitter resentment. Burning Bridges , with it’s jaunty beat and shimmery guitars, kicks off like a Steely Dan- style FM radio staple as a tale of regret gives way to resignation and a wash of roaring guitars. “Wrong Number” is a sort of doo-wop book-end to her “Change The Locks” and her version of J.J. Cale’s ‘Magnolia’ gives an extra dimension of longing and carries Lu’s love of New Orleans. ‘Down Where the Spirit Meets the Bone’ is a result of a singer/songwriter crafting songs wrought from their life, not following a formula towards sales and charting. It’s an honest and sometimes brutal work, but it’s never dour as Williams describes much of the pain as a wizened observer setting markers and warnings created by a life lived. Of course people being what they are all warnings and advice will be ignored and forgotten. And Lu will be right there with more great songs to beautifully, soulfully, remind us of what we already know.